We are excited to announce a very special release in partnership with our friends at KCBC (Kings County Brewers Collective) from Brooklyn NY, a limed beer in a super exclusive can! A super tasty, drinkable smoked Helles Lager, wrapped in exclusive art by UK street and toy artist Czee13! 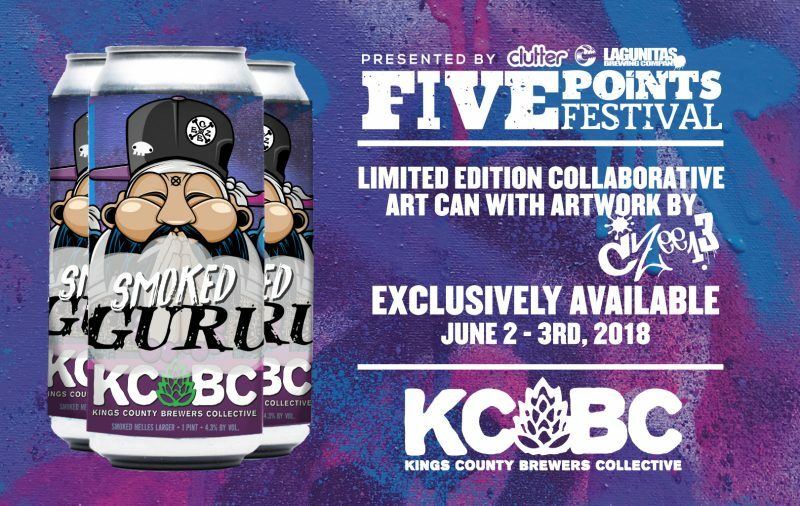 This badass can is ONLY available at this year’s Five Points Fest, so make sure you grab one before they’re gone forever! Visit the Beer Garden to snag a super limited edition collectible can of Smoked Guru for just $8 per can! You’ll need a ticket to grab one – pick up yours up here.